The saltbox style Retreat Cottage was built in 1834 probably as a country retreat for Edward Mortimer Archibald. Archibald was clerk of the assembly, marshal of the Vice-Admiralty Court and later became attorney general. He hired a Scotsman, Alexander Norris, to build the home. Norris was best known as the architect and builder of Newfoundland's Government House, which was completed in 1831. Retreat Cottage is an interesting example of Victorian building practices. Having undergone several alterations the style is now an eclectic vernacular. The structure has had numerous owners and been altered many times since it was first built. While the Regency-style trellises are likely original, the sitting and dining rooms were made into porches after renovations around 1847. This occurred while the Honourable William Thomas owned the house. Thomas was a merchant and a member of the Legislative Council. A mansard roof and a glazed porch were added between 1885-1895 when Judge John Hayward owned the house. He was also a former member of the House of Assembly for Harbour Grace. Hayward extensively renovated both the cottage and its grounds after he purchased the home in 1868. The next owner, Robert Von Stein, bought the dwelling in 1895. Von Stein and his wife developed and ran an extensive market garden on the premises. In 1914 they sold the home to Sir Charles Hutton. In 1943 Sir Charles gave the home to his son Hubert, who then sold the home to Maire and Shane O'Dea in 1970. 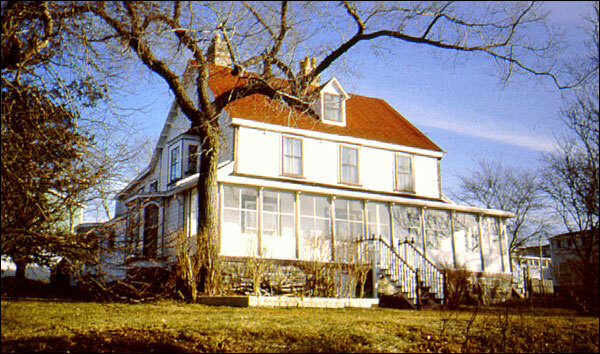 In addition to its principal owners, Retreat Cottage was leased to important political and cultural figures in Newfoundland's history. These figures include people like Thomas Beck, the Honourable Edward D. Shea and Rudolph H. K. Cochius. Beck was a prominent St. John's merchant and Shea was editor of a local newspaper, The Newfoundlander, and president of the Legislative Council from 1886-1912. Cochius was a distinguished landscape architect who designed Bowring Park. He was also the designer of Newfoundland's memorial parks in Europe at Beaumont Hamel, Monchy-le-Preux, Guedecourt, Masnieres and Courtrai, erected after the First World War. The government later appointed Cochius as St. John's first town planning commissioner in 1928. The original structure with its nineteenth century alterations are an interesting example of Victorian building practices. In recognition of its cultural and historical significance, Retreat Cottage was designated a Registered Heritage Structure by the Heritage Foundation of Newfoundland and Labrador in May 1993. This structure was also awarded the Southcott Award for heritage restoration by the Newfoundland Historic Trust. Also view the Retreat Cottage Registered Heritage Structure, and the Retreat Cottage - City of St. John's Heritage Site on the Heritage Foundation of Newfoundland and Labrador web site. The Newfoundland and Labrador Heritage Web Site has on its site only a portion of the registered heritage structures in Newfoundland and Labrador. To view a complete list or search for a particular structure visit the Heritage Foundation's Property Search page.